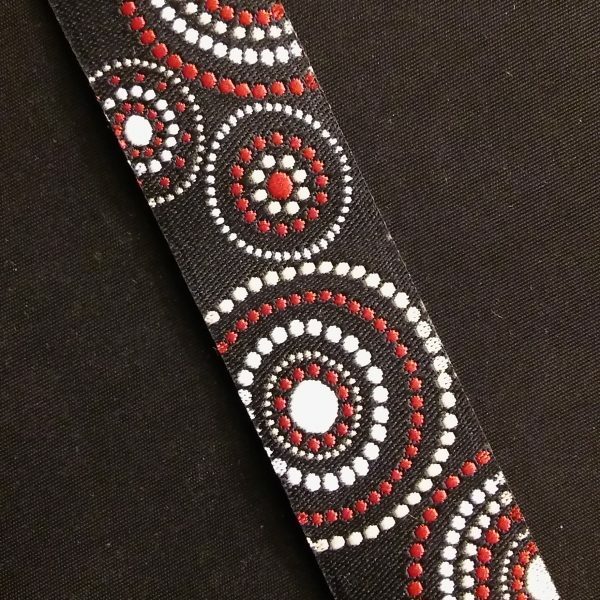 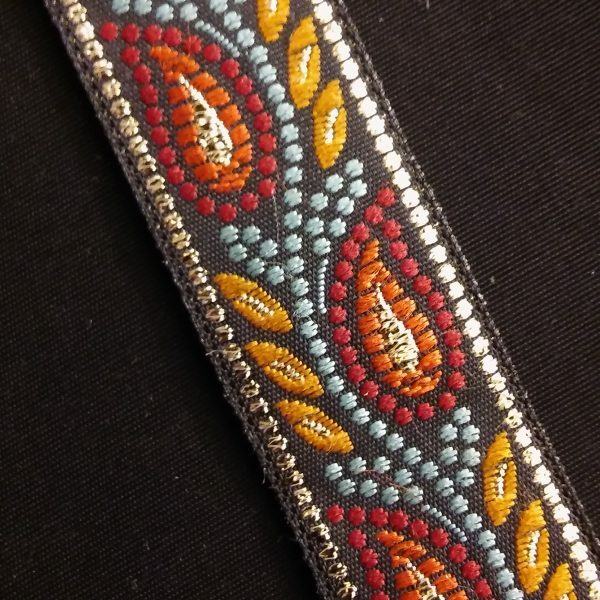 View cart “JAQ71869-1 – 3/4 Red Paisley Jacquard Trim – BACK IN STOCK” has been added to your cart. 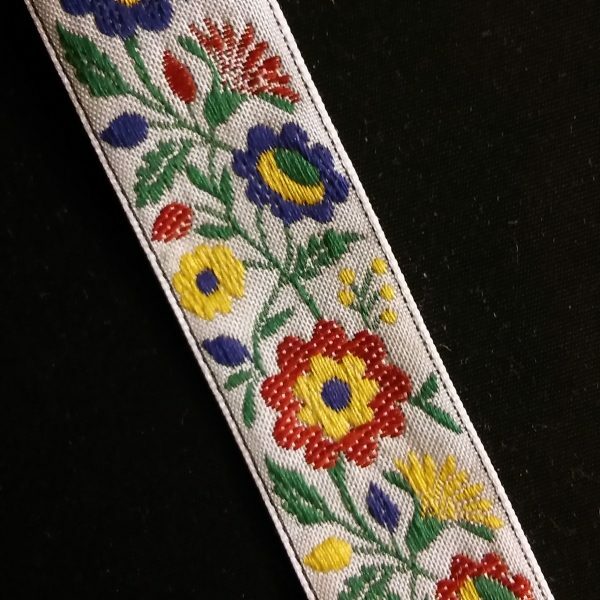 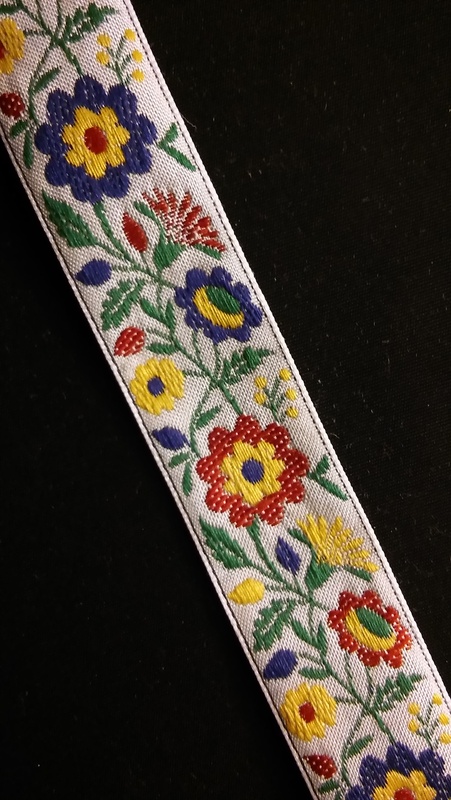 This main colors of this 3/4″ floral jacquard trim are bright red, bright yellow, green and blue on a white background. 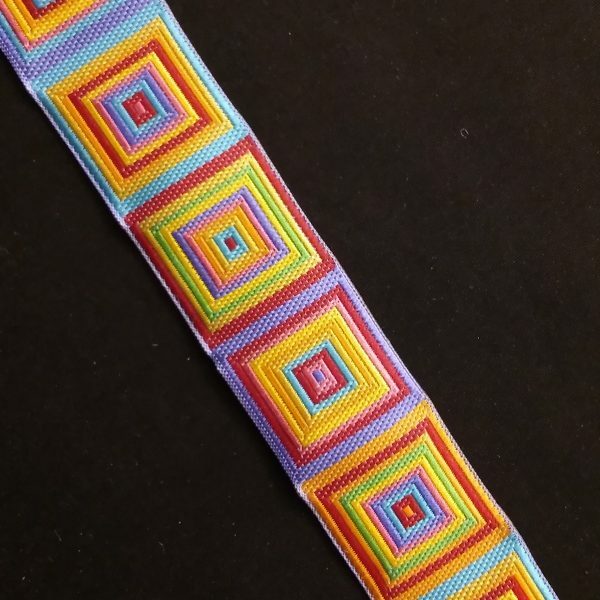 This trims is sold by the yard.